Our most popular offer is back! Call Louise on 01803 292667 to take advantage of this offer or to arrange upgrades. Nobody likes paying extra to use Credit Cards. So we don't have a surcharge here at the Allerdale. Staying Two Days Full Board? Let's call it Three! 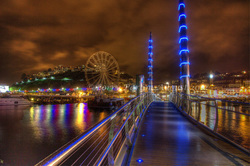 Is two days with us in wonderful Torquay long enough? We dont think so. If you staying with us for Two days full board, we are pleased to offer you the third consecutive day at bed and breakfast for FREE. House Hunters and Movers use this Special while hunting for property in our area. This offer needs to be booked several weeks in advance as our hotel is very popular, contact Louise on 01803 292667 to discuss dates. If your group visiting a conference held in Torbay we offer a discount when miltiple block bookings are made. Call Louise on 01803 292667 to discuss dates.